The AST-CAN485 Dev Board brings CAN (Control Area Network) and RS485 to a small, Pro Mini form factor with the ability to interface to 24V input and outputs. When looking to save space, losing the communication cable is one of the best options as well. 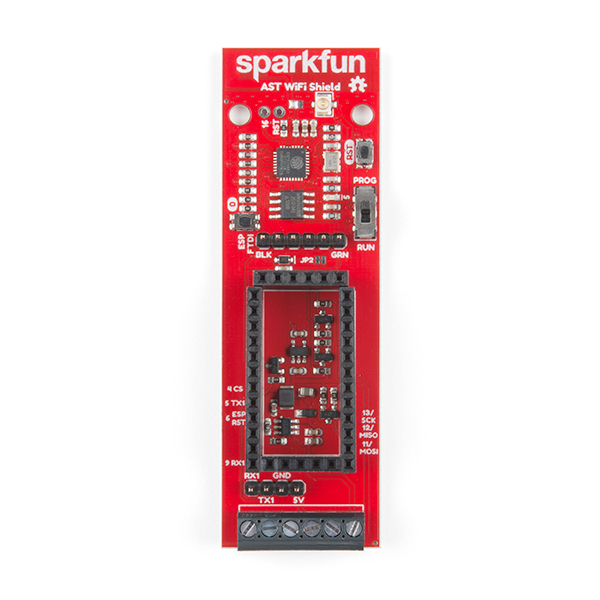 The SparkFun AST-CAN485 WiFi Shield does just that. With Screw terminal connectors for RS-485 and a U.FL connector, this board supplies solid solutions for working wirelessly in automation, an environment famous for being noisy and unforgiving to electronics. 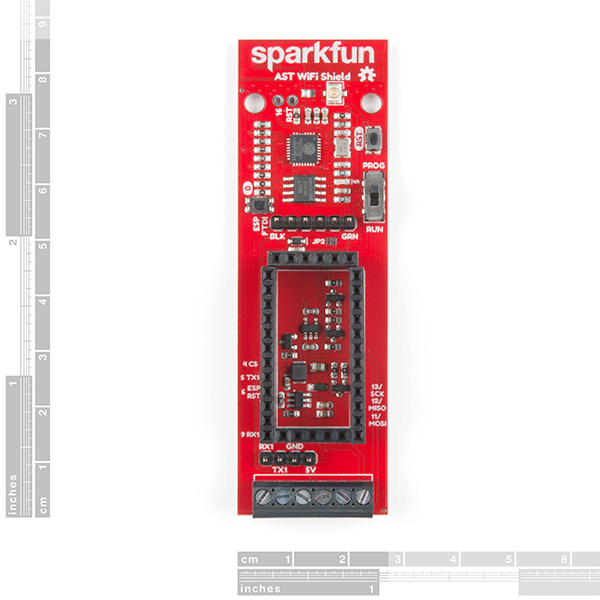 The board uses Espressif's ESP8266, a widely used chip in IoT, for wireless communication. The AST-CAN485 WiFi Shield possesses a PCB trace antenna as well as an on-board U.FL connector which allows for external WiFi antennas in situations where more signal strength or distance is needed. 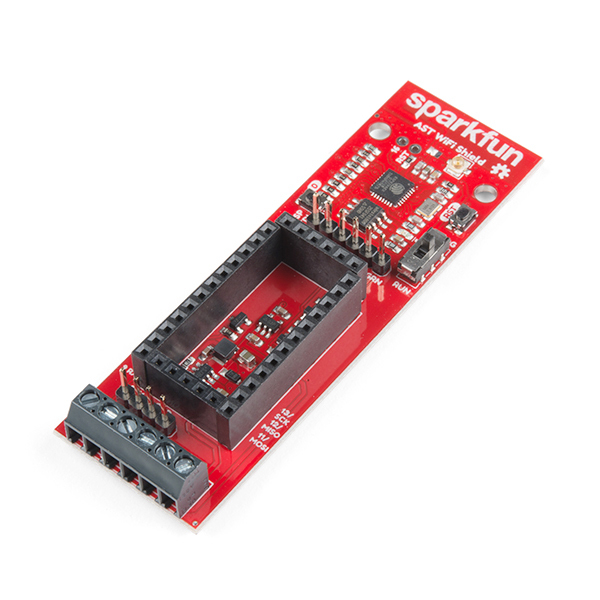 An FTDI header is provided as well for working with the ESP8266. 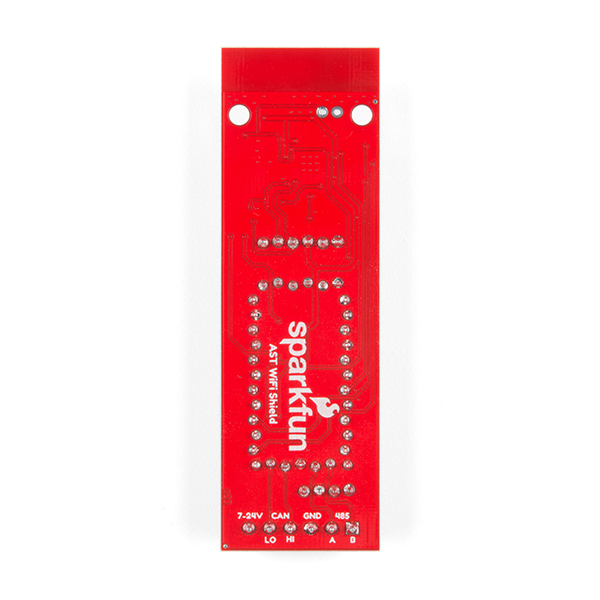 Note: This board has pins that operate at 24V as well as pins that operate at 5V. Care should be taken during wiring as 24V has the potential to do significant damage to 5V circuits.